Gemstone Details: 15 Yellow sapphires, bezel set, of exquisite color, weighing .88 carat total. 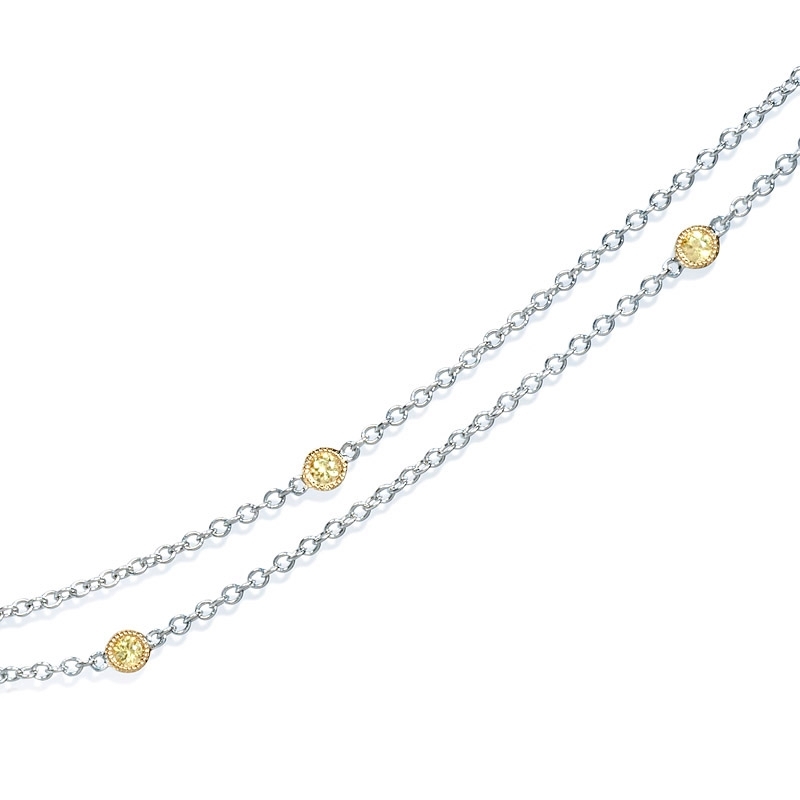 Necklace Details: 18k white and yellow gold yellow sapphires chain design. Measurements: 17 Inches in length and 3mm at the widest point. 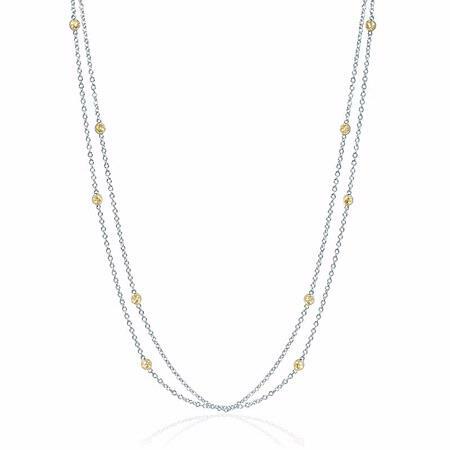 This elegant yellow sapphires chain 18k white and yellow gold double chain necklace, designed in Italy, features 15 bezel set yellow sapphires, of exquisite color, weighing .88 carat total. 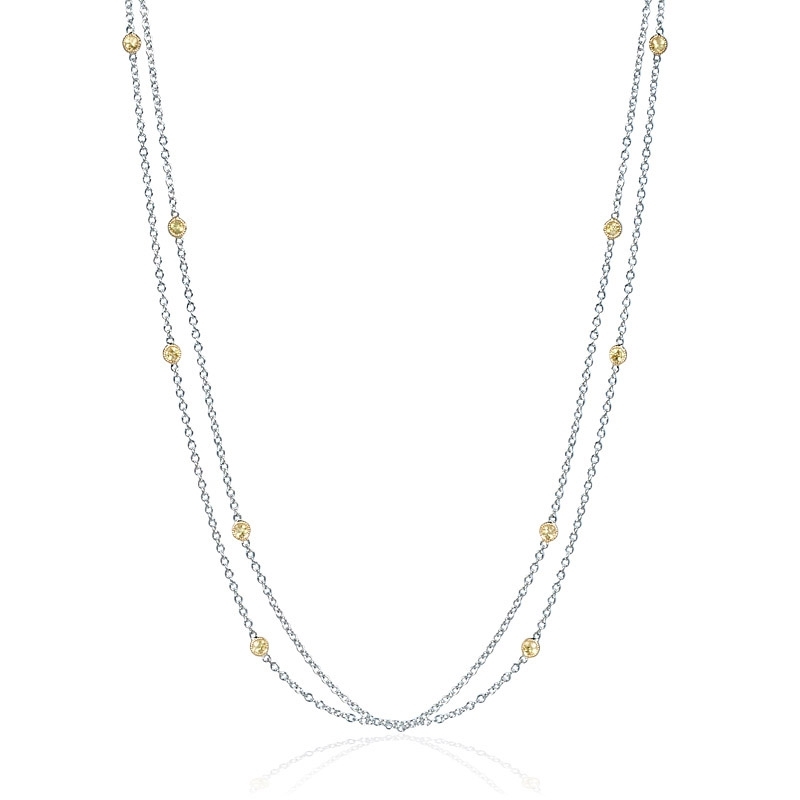 The diamond necklace measures 17 inches in length and 3mm at the widest point.